1) You have some good article or post written on localhost when you were offline and now you wish to export only that article to your live WordPress blog. You do not want to export all the posts like some test posts or some other sample posts, you just need that particular post which you had written for your live site. 2) In case, you own two WordPress blogs, and you think that a published article on one blog actually suits the niche of your other blog and it would perform good there. So now you wish to move this article or may be few more articles from one blog to other. But you definitely do not want all of the former blog’s posts. In case if you are moving the post from one blog to another, do not forget to use 301 permanent redirect of the url of the post on source blog to the new post on the destination blog. This will help you to avoid the duplicate content for search engines like Google. And you would have any other scenario why you would need such kind of filtered export. Create a new user with username say ‘exporter’ and role as ‘author’. 2) Change the author of the post or posts that you need to export to ‘exporter’ from the edit post panel. In the ‘Filters’ section, go to Author and select the author ‘exporter’ from the drop-down list. And click ‘Download Export File’. All the posts that have to ‘exporter’ as ‘Author’ will be written to an XML file for you to save to your computer. This would be the expoted file in XML format, that you would need to ‘Import’ on the destination blog. As well, in case you wish to export the posts from a prticular category, just select the name of the category in the ‘Filters’ section –> ‘Categories’ drop down. Say you just need to import the post or posts, its other meta data and attachments. But you do not wish to import all the source blogs categories and tags, which by default come in the XML import file. You would need to open the XML file in a text editor like Notepad or Notepad ++, and delete the Category or/and Tag rows, slectively as you need. The below screenshot shows the Category and Tag rows that can be deleted from the XML file before importing it to the destination blog. This screenshot is taken on Notepad ++ as an editor. Just delete whatever ‘Category’ or ‘Tag’ that you do not want to get created on the destination blog. 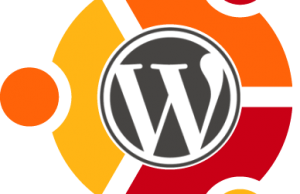 You would be using the WordPress Importer plugin to import the XML file saved to your computer. While importing it would ask if you need to create a new user named ‘exporter’ or if you want to assign the posts to existing user. 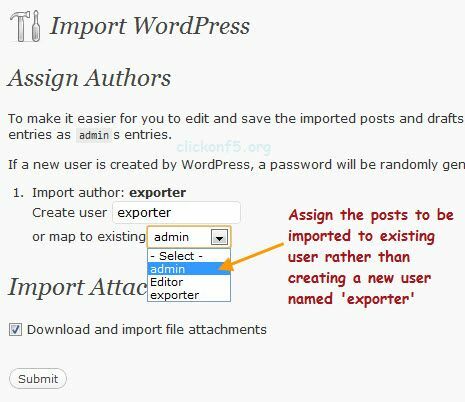 Just select to assign the posts to the existing author user on the destination blog so that she would be author of the WordPress posts imported. 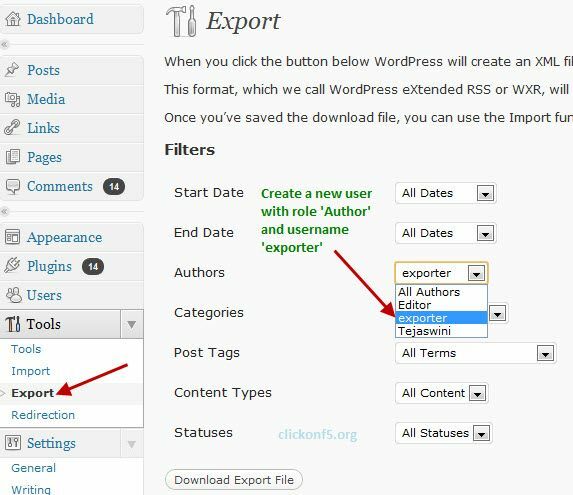 Thus, you can export a single post or some specific number of posts as well using the ‘Filters’ option on the WordPress exporter effectively.